- "We take care of the best day of your Life"
Perfection is our top priority - your wedding should be one of the most beautiful days of your life where everything goes according to plan. 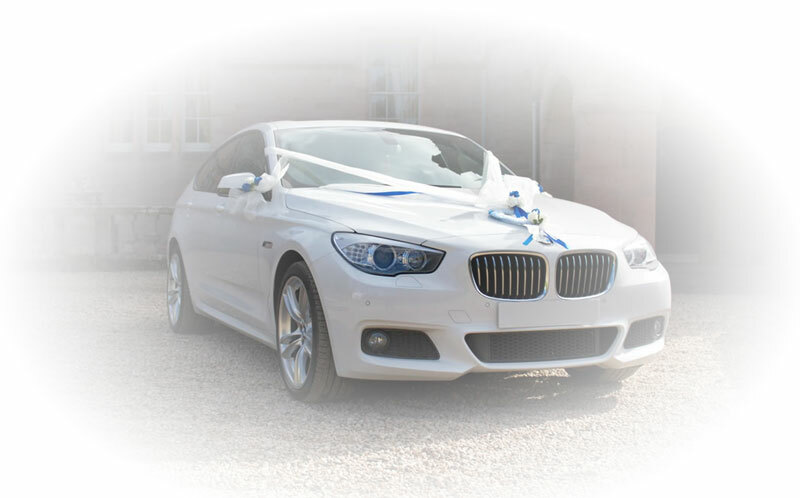 We apply high standards, bringing together the Costa del Sol's most modern and exclusive wedding car fleet. Our chauffeurs understand your needs and know perfectly how to fulfil them. They are friendly, punctual and speak both English and Spanish. We pride ourselves on our ability to consistently deliver a service of the highest standard. Our fleet consists of brand-new Mercedes E-Class, S-Class and BMW 5 Series GT, driven by one of our professional chauffeurs (and decorated with ribbons). Forget about your transport during your wedding day. Don't worry about punctuality, car decoration, petrol, car wash or chauffeurs. Malagaairport-transfers.com takes care of it all. Request prices, availability and/or possibilities by filling out our contact form, or by writing us an e-mail specifying your request.